It’s Monday – What Are You Reading? Bears, Birds and a Hammock! It’s Monday and I’m happy to be participating in a weekly event with a community of bloggers who post reviews of books that they have read the previous week. Check out more IMWAYR posts here: Teach Mentor Texts and Unleashing Readers. 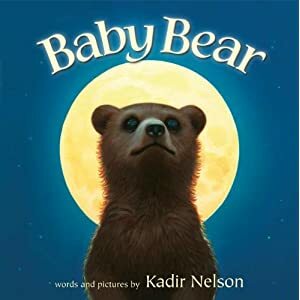 This week, I discovered some wonderful new picture books about bears, along with a few other delights! Here they are! Ever have the hiccups you could not get rid of? Poor Elliot! He eats his picnic food too quickly and ends up with a very bad case of the hiccups! While he tries to get advice from various forest friends for a cure, his cousin Lutz finds the whole situation terribly funny. Eventually, Lutz stumbles across a cure and helps Elliot out. There are SO many things to love about this book – first – the illustrations are adorable. Kids will make connections to the hiccup theme but I also love the message of the importance of showing sympathy to others when they are in tough situations instead of laughing at them. Wonderful book and I can’t wait to share it with my students! Hmmm…. 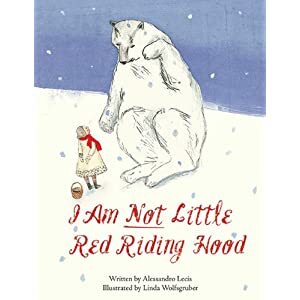 I felt a bit tricked by the title of this book because it has NOTHING to do with Little Red Riding Hood! It’s unfortunate that the title throws you off so much because the story is very sweet. A little girl (who has a red scarf not a red hood!) is collecting snowflakes in her basket and meets a polar bear who brings her to the place with the very best snow is, under the moon. After a snow dance (LOVED this part!) she fills her basket with snow. The bear explains that the snow will soon melt. The snow does disappear, as does the bear. There is something quite magical about this book – I just wish it was called “Snow Dance”! 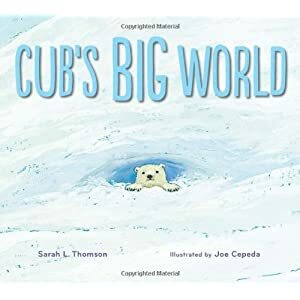 This is a beautiful and tender story about a baby cub experiencing the big world for the first time. The words and pictures are very lyrical and lovely. I felt inspired to use this book for a winter world art lesson! Great mother-cub relationship in a wintery world. Loved it! “When I am lost, I sit very still and try to listen to my heart. It speaks as softly and as sweetly as a gentle breeze. And it is never wrong. It will lead you home” Can you stand it? This book is simple, beautiful, extraordinary. The voice of this little bear is so sweet and his words are so tender. The illustrations are so beautiful and I felt so emotionally tied to this little bear as he tries to find his way home with the help of his forest friends. Huge bear love. 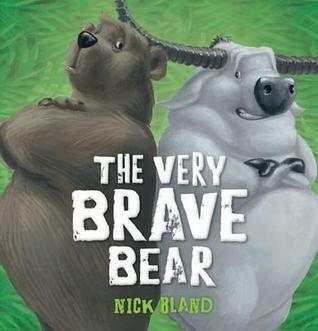 Cranky Bear is back and this time he and Boris Buffalo are trying to one-up each other to determine who the bravest! 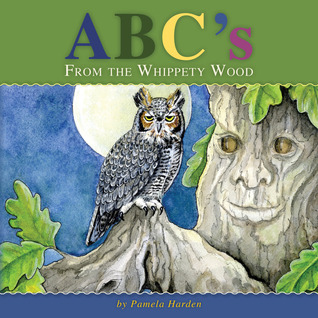 This book is fun, has rhyming texts and would make a great read-aloud for younger children. Papa Bear is searching for Baby Bear after Baby gets lost chasing a bee. This is a simple story but it is the illustrations that really made it stand out for me. The details are FANTASTIC – so much to look at – they almost tell their own story! You could spend many hours searching for all the hidden treasures! Canadian author/illustrator Cybele Young has given us another delightful book featuring the same Ten Birds she introduced us to in 2011. I was thrilled to see this second book in what I hope is a series! In her first book, 10 birds are trying to problem solve their way from one side of river to another. In this book, the same clever birds are trying to come up with creative and increasingly elaborate ways to scare off a monster. The black and white pen-ink illustrations are remarkable. 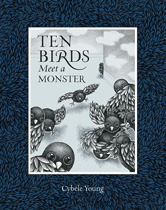 This book is clever, funny, and a GREAT companion to Ten Birds. I found this book sitting on a table in my local library and was immediately attracted to the cover: An adorable little bird sitting on the end of a pen – what could this story be about? Turns out is a true story of a baby finch who falls out of her nest in the busy streets of New York City and is rescued by a woman named Holly (the author’s wife). Holly looks to find somewhere to take the bird but ends up taking it home to her New York apartment and there, teaches it to eat, sing and fly. This book is charming and the light airy illustrations are a delight. Wow! This book has SO much to celebrate! It’s about family, community, play, diversity, sustainability, recycling – and I am still thinking of more! 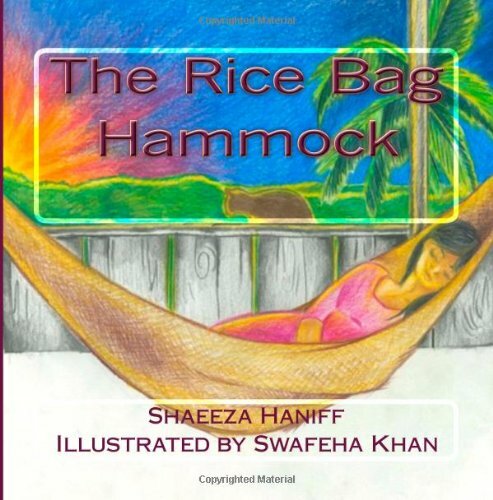 It tells the journey of a simple burlap rice bag that is turned into a hammock and given as a gift. Each page shows how the hammock is used in simple, repeating text. The story is set in scenic Guyana countryside and the illustrations are vibrant and colorful. I loved the uplifting message that a simple handmade gift leads to many uses and much joy to so many. A MUST HAVE book! And those are my books this week! Thanks for stopping by! It’s Monday! What Are You Reading? – Dragon Delight! I’m a huge David Wiesner fan – and while this is not one of his more well-known books, it is certainly one of my favorites. 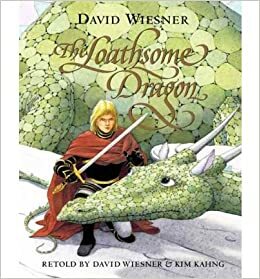 It is one I would categorize as a traditional dragon story – and comes complete with a lovely princes, brave prince, wicked stepmother and evil enchantments, not to mention a dragon. Gorgeous illustrations of magical woods and the majestic dragon tops it off. A great book for questioning. 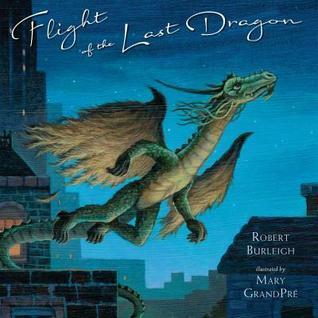 This is a beautiful story, told in rhyme, about a dragon trying to find his way in the modern world and inevitably taking his last flight and becoming the constellation DRACO. The illustrations by Mary GrandPre (who illustrated the covers to the Harry Potter books) are beautiful. 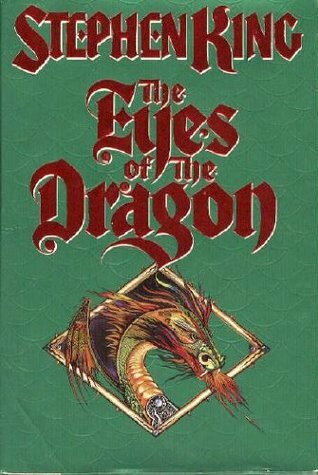 Another dragon book with extraordinary illustrations, this book begins as a traditional story with a terrifying, fire-breathing, army battling dragon. However, we soon discover that this mighty dragon has a big secret – he is afraid of mice! Enter George, a mouse who moves next door and comes over to borrow some sugar! 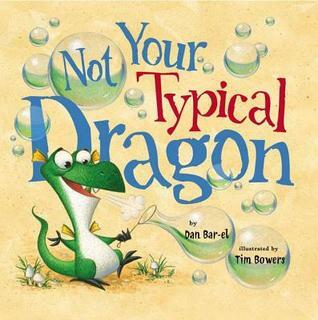 This is a story full of humor and surprises – a great read-aloud! George, the Dragon and the Princess is the follow-up book to this and is equally as good. My students love them both! Jackie Morris lives in Wales in a cottage by the sea where she lives, writes and illustrates. 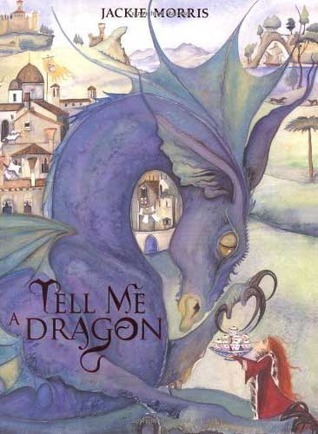 (I want to be her) Her book Tell Me a Dragon is absolute my top pick for inspiring dragon writing. I have read this book to grade 1’s through to grade 7’s – and whenever I do, something magical happens. The watercolor illustrations are extraordinary – each page depicting a different type of dragon – from a sky dragon, to an ice dragon (“His breath is snowflakes”) to a “Snaggle-tooth dragon – fierce and brave”. The spell is cast. “George knew something wasn’t right when he found more than he bargained for under his mother’s favorite chicken” And so begins the tale of George and a dragon. I love this book. 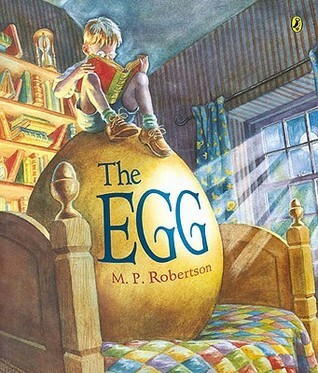 It is a tender tale of a kind-hearted boy who takes care of first, an egg and then a dragon. I love that George cares for this egg, reads it stories and covers it with his quilt. When the egg hatches and a dragon appears, George teaches it “dragonly ways” – how to fly, breathe fire and defeat a knight. Eventually, the dragon becomes homesick and George sadly takes him home. 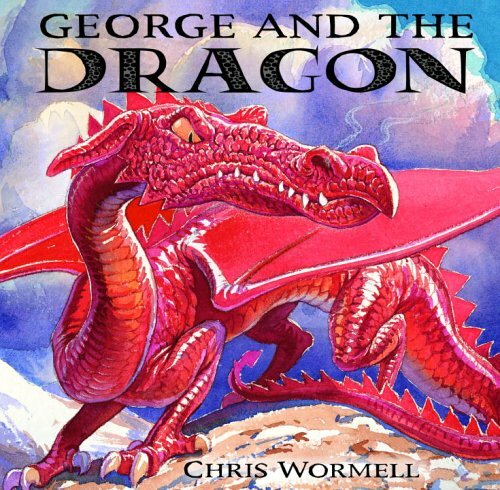 If you fall in love with George, as I did, you will want to read the other George and the Dragon adventures by M.P. 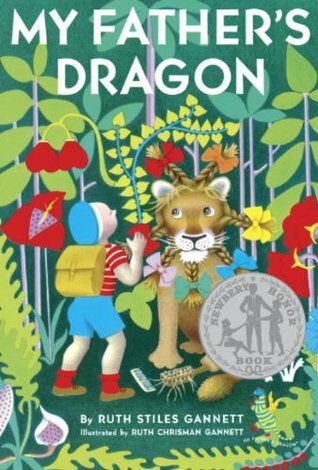 Robertson – The Dragon Snatcher and The Great Dragon Rescue. Fantastic! Amazing! Creative! Patrick uses magical tools to create an imaginary place. He creates so many “rooms” that children would love to visit–dinosaur rooms, friendly wild animal rooms, dessert rooms, bouncing rooms, bubble rooms, high seas adventure rooms. Then he takes his family on a tour. Marc Teague’s illustrations are amazing. 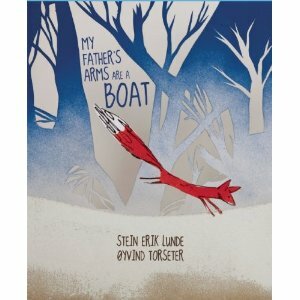 GREAT anchor book for writing – and having kids write about their imaginary room! Instead of fire, Cripin breathes… band-aids, marshmallows, teddy bears! (oh my!) A great story – light hearted and fun. 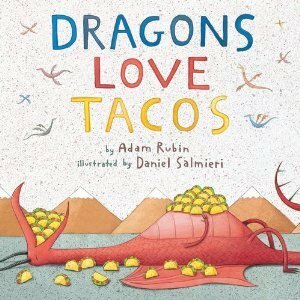 Another very funny read-aloud about dragons and all the tacos they eat – including the hot salsa! This is a recent release but already a hit at my school! 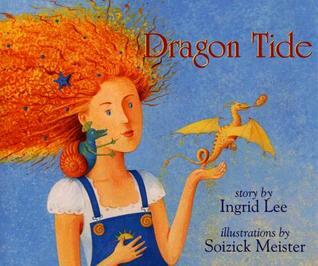 A charming story of a girl who molds a dragon out of sand on the beach. Will the dragon survive the crowds at the beach before the tide comes to set it free? This book is magical and whimsical. Soft spoken and quietly beautiful. 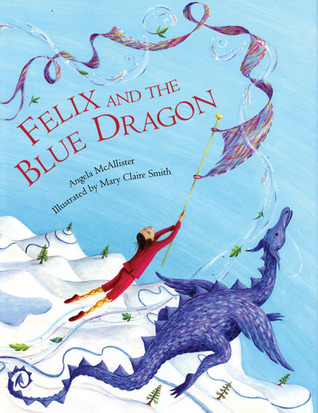 Felix is a lonely prince who has only his shadow to play with, until he meets a mysterious blue dragon. An enchanting story – and one I’ve used for questioning. 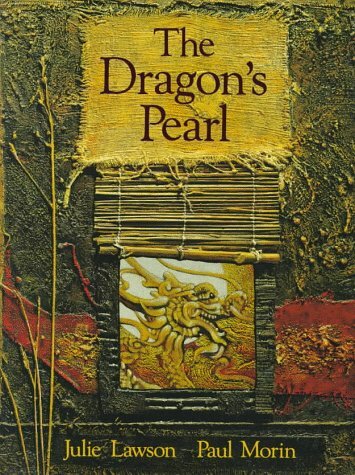 A magic pearl brings good luck to a young boy and his mother in this traditional Chinese tale. 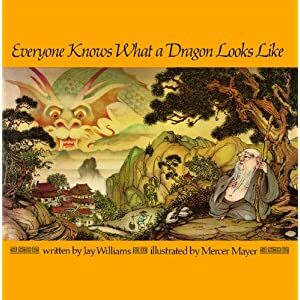 I love the textured illustrations and also the interesting explanation of the Chinese dragons and the legends that surround them is found in the back of the book. With older students, I use this book for questioning. It is also one I’ve used to discuss comparisons between Chinese and European dragons. 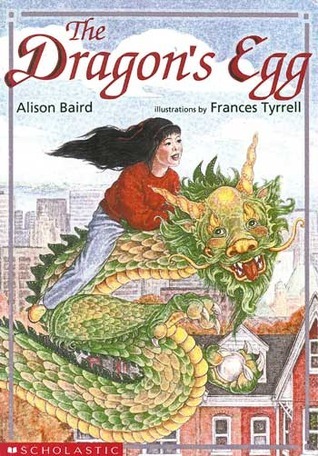 This is a wonderful fairy tale about a fat little old man who claims he is a dragon. Nobody in the village believes him, except a little boy. I have loved this book for a long time and enjoyed many read-aloud experiences with it. It is playful and imaginative and Mercer Mayer’s illustrations are breathtaking. A young girl is frightened by the clanging cymbals, firecrackers and loud drums of the New Years Parade. Her grandmother then explains the the origins of the Chinese New Year celebrations told through a traditional fairy tale. I love the calming voice of the grandmother and the illustrations are colorful. 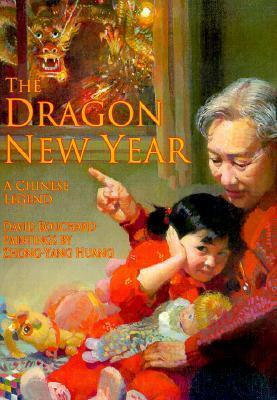 A perfect book to share during Chinese New Year. 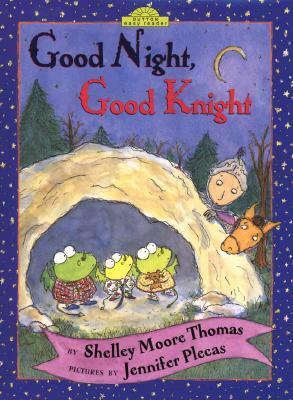 Three little dragons are having a hard time falling asleep so the Good Knight comes to help. He brings them bedtime snacks, sings lullaby’s and reads the stories. I adore this book! (and so did my two boys when they were little) It’s not only great for reading aloud to younger children, the repetition and dialogue can be easily turned into a Reader’s Theater script for K-1-2. It’s also written at a beginning reading level for beginning readers. Another classic and one of my very favorite beginning novels. It is the PERFECT book to read aloud to a grade 2 or 3 class and I’ve also used it for younger Literature circles. It was first published in 1948! I remember reading it when I was about 7 – I think it was my first real “chapter” book! It tells the story of Elmer who heads to Tangerine Island to try to rescue a dragon who is being mistreated by the other jungle animals. The book is a clever adventure that kids love. Great illustrations and wonderful ending. Gannett wrote two follow-up books called Elmer and the Dragon and The Dragons of Blueland. This wonderful novel has been around for many years, but is a popular Literature Circles choice for grade 4’s and 5’s at my school. It is a fantasy story about a girl who receives a special stone from her dad that he brought back to her from Chinal. When a baby dragon “hatches” from the stone, Ai Lien’s adventures begin! This book is a great mix of fantasy and realistic issues (friendship, bullying) that children make connections to and that stimulate some thoughtful discussions. Although this was never one of Stephen King’s big hits (he wrote it for his daughter, apparently) I LOVED it when I read it way back when it was first published in 1987. I re-read it last summer with my son and enjoyed it all over again. It is definitely one for older students – but has everything in it that you could want from a Stephen King book – murder, deceit, mystery, lies – and everything you could want from a fantasy tale – a castle, a dark tower, a prince (two in fact – one good, one evil) a queen, a king, a villan (Flagg – ooooo, he’s so evil!) and, of course, a dragon. King’s writing is superb and I love that when the narrator speaks to you and warns you of things that are happening. A great read! Well… there is my list!. 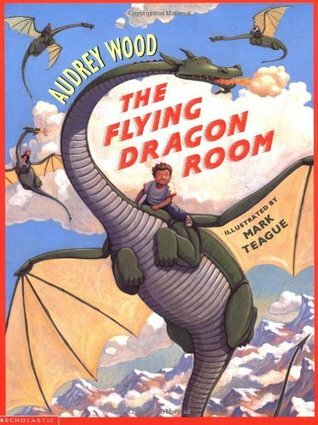 What is your favorite Dragon book? 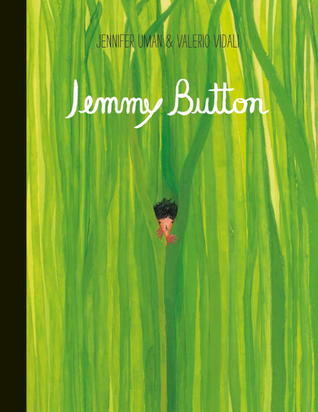 This book is based on the true story of a boy who was taken away from his native home in South America, traded for a Mother-of-Pearl Button, and taken to be “civilized” in England. He lives there, is taught the European way of life and then is returned to his native home. This book is definitely one I would share with older students. It left me feeling rather sad – I can’t imagine how traumatic this experience must have been for him or for his family. My connection was to Aboriginal children who were taken away from their families to Canadian Residential Schools. The illustrations in this book are rich and colorful. An excellent anchor book to use for intermediate students for practicing questioning. Another translated book that surprised me, this is a graphic novel, exquisitely illustrated, about an overweight girl who is being teased and bullied at school. 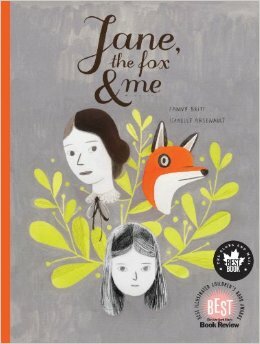 During her torment, she makes three connections that eventually bring her solace and comfort: the fictional character Jane Eyre, a girl she befriends and, surprisingly, a beautiful fox. This book is intense, emotional, disturbing, (the girls are so cruel to her) haunting, visually stunning, powerful and moving ( hmmm….there seems to be a theme emerging from my first three books!) 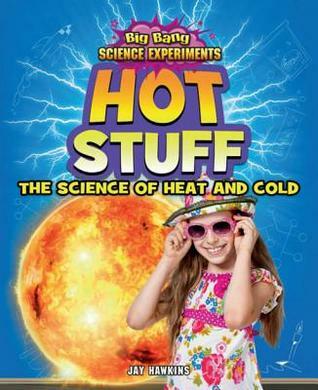 This is definitely a book geared for middle school students. Another book that lingered long after I finished it. Never underestimate the power of little things – for they are what make the big things possible! 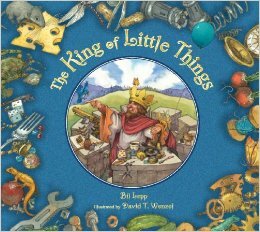 The King of Little Things rules happily over all things small – from buttons to beetles, from marbles to macaroni. Enter King Normous – who thinks he rules over all the land until one day he discovers that a little king in a little land rules over little things. The King of Little Things is clever, funny, well written and has amazing illustrations, not to mention an important message and a happy ending. 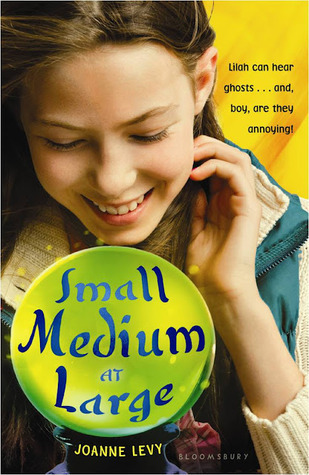 I loved the idea of this book – and have a new appreciation for paper clips, dice and all things small! 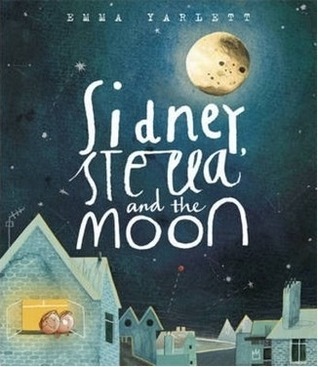 Sidney and Stella are twin sisters who, like many siblings, do not share very well. While fighting over a ball one night, it accidently knocks the moon out of the sky. This leads to the need for the two to problem solve together. 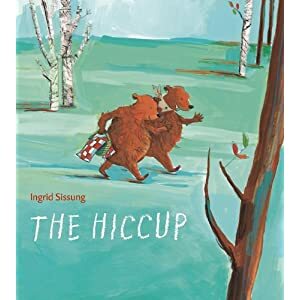 A cute, imaginative story for the younger primary students – connections to sibling rivalry and discussion about working together to solve problems. The illustrations are AMAZING! 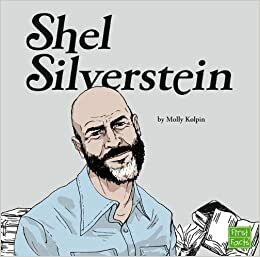 This is a poetry collection – reminiscent of Shel Silverstein and Dr. Seuss – filled with silly characters, wacky words, funny rhymes. Great for reading aloud for early primary children – great rhythm, lots of fun, great pictures! Very imaginative and many poems would be great for visualizing! What do you get when you mix a little Math with a whole lot of Snowmen? You get this GREAT book! I so enjoyed it – could look at the pictures again and again! 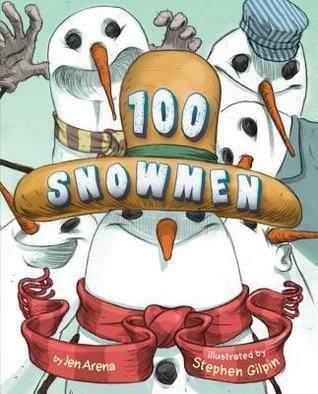 A great counting book for Primary students (the Math does get more complicated as the book goes on), fun rhymes and each snowman has its own unique characteristics. Delightful, fun and a great link to Math! I wrote about this book a few weeks ago in my Top Books of 2013 post, but it’s worth sharing again! 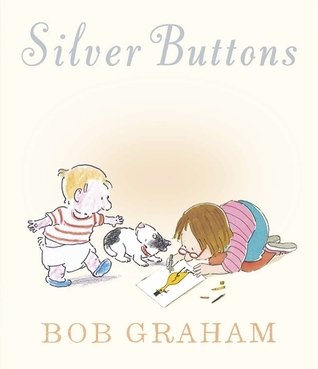 Silver Buttons begins simply enough – a little boy taking his first steps and a girl drawing pictures on the floor. But the book is an extraordinary look at all things that are happening within the neighborhood and city at the same exact moment. A celebration of life’s moments and how we are all connected – Simple. Beautiful. 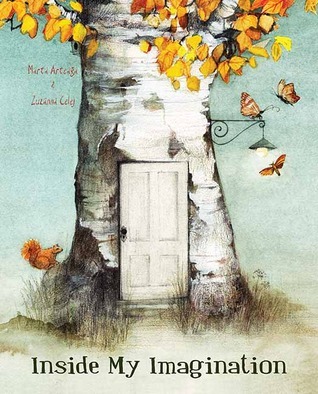 Beautifully illustrated book about a girl celebrating her imagination – where it comes from and where it can take her. A great anchor book for motivating imagination in writing. Also great examples of similes – “my imagination is like a meadow full of shooting stars… like an enormous music box where I keep everything I see and hear.” Lovely words, lovely pictures, lovely book! Well there is my rather diverse list! What have you been reading recently? 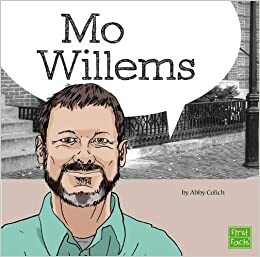 I’m excited to be joining Alyson Beecher from Kid Lit Frenzy in this year’s Nonfiction Picture Book Challenge 2014 I’m hoping to discover many new nonfiction books that I can share with my students at school and with other teachers at workshops. Link up here to join in! This was the perfect “back to school” book to start the New Year with my students. 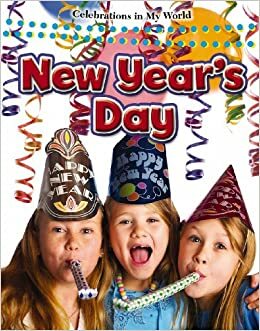 It is a great book to share – filled with colorful photographs and interesting information about the history, customs and celebrations of New Year’s Day around the world. There was also a page about New Year’s resolutions – which was a great way to launch our writing about our own resolutions! Once the invention had been revealed, we discussed the importance of the invention and how it made an impact on our lives. By the time we got to “Z” – the kids were hooked and so excited about their project. 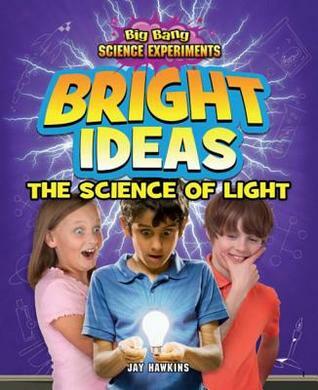 I learned SO much and HIGHLY recommend this as an anchor book to launch an invention unit! During the second term at my school, the intermediate classes spend a great deal of time preparing for the school Science Fair. For the younger students who are participating for the first time, it can be a challenge coming up with just the right experiment or project. 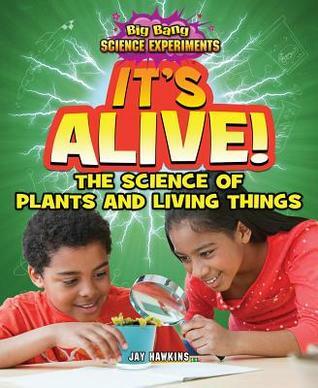 Our great Teacher Librarian discovered this series and they have proved to be VERY helpful resources, The books include clear photograph visuals, instructions and examples of many different experiments to try. 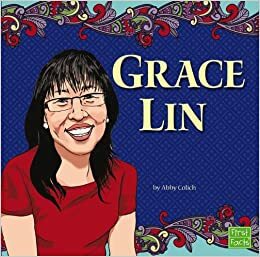 I’m a huge fan of Biographies for kids – and while I tend to be drawn towards the more narrative versions like On a Beam of Light and The Tree Lady, I also think it’s helpful to have examples of more factual biographies at a lower reading level. 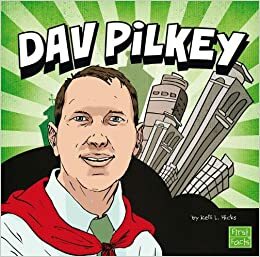 This series of 6 books (missing here are Jeff Kinney and Barbara Park) was released in August – and I love that they include authors of books that many students will be familiar with. The text is very accessible with full colored photographs and many text features. A great collection for your library! 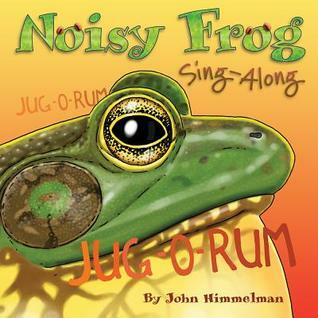 Noisy Frog is an simple but interesting look at the different songs frogs make! Some peep, some trill, some growl, some creek, and some go WAAH, WAAH, WAAH! (Who knew?) This book has bold and beautiful pictures and great facts at the back provide information about the “singers”! Big frog love for this book! I was immediately drawn to this book because of the cover, but debated whether I should list it as a nonfiction read. 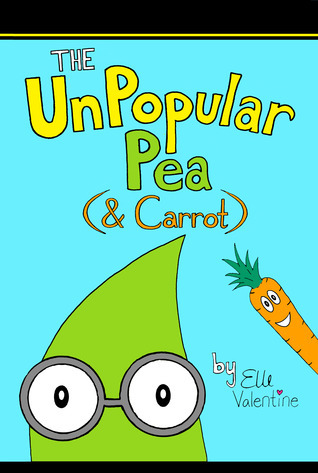 It is a cute story of a pea and carrot who feel unloved compared to the donuts and candy everyone seems to love. It has a fun rhyming text and very cute illustrations, however, the important message of this book focuses on nutrition. It shows the differences between junk food and vegetables and would be a great anchor book to help teach children how to make healthy choices. It’s also just darn cute! 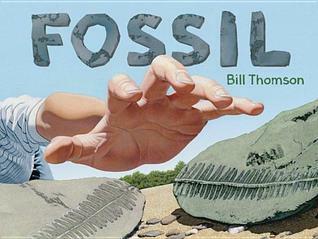 What nonfiction picture books have you been reading this week? I am happy to be joining Maria Selke from Maria’s Melange and Carrie Gelson from There’s A Book For That for the #MustReadin2014 challenge! Seeing as that I will be reading one book a month already for my book club, I have decided to be realistic in the number of books that I will be setting out to read – topping my list at 20. I have tried to include a variety of adult, children, YA and professional books. 1. 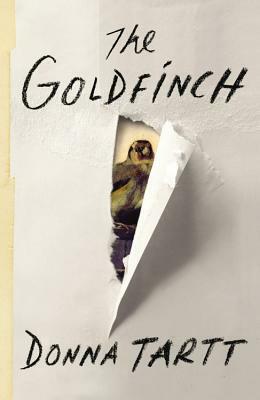 The Goldfinch – Donna Tartt. Because my boys bought me this for Christmas. 2. 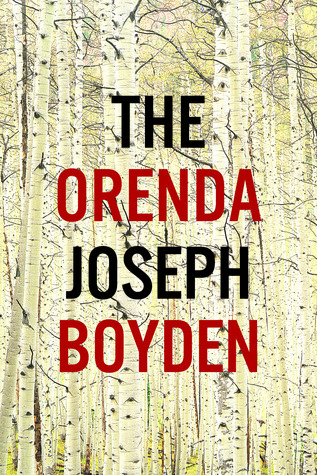 The Orenda – Joseph Boyden. Because my sister recommended it and I loved Three Day Road. 3. 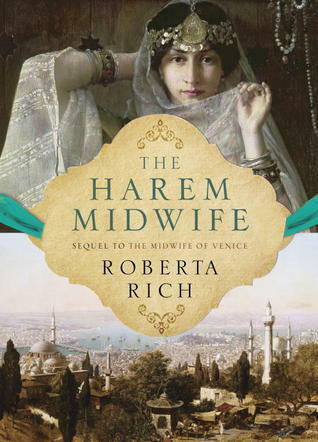 The Harem Midwife – Roberta Rich. Because Roberta Rich came to my book club after we read her first book, The Midwife of Venice. I was a little star struck. I sat next to her and kept touching her arm. She was delightful and asked us a lot of questions about her then beginning stages of her next book. 4. 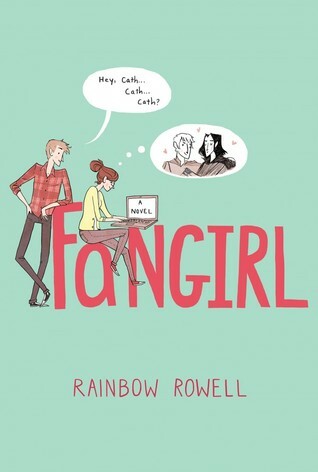 Fangirl – Rainbow Rowell. Because of all the discussions and reviews about this book on many blogs. Also, I loved Eleanor and Park. 5. 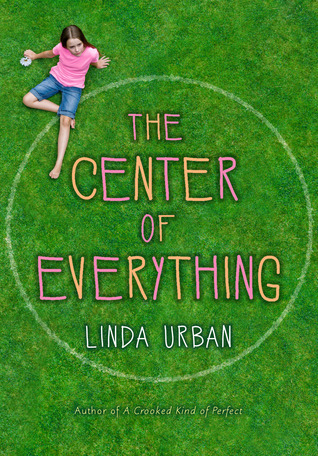 The Center of Everything – Linda Urban. Because Carrie Gelson loved this book! 6. 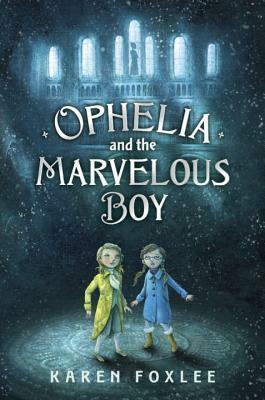 Ophelia and the Marvelous Boy – Karen Foxlee. Because there have been lots of blog posts about this book recently and I love the cover. 7. 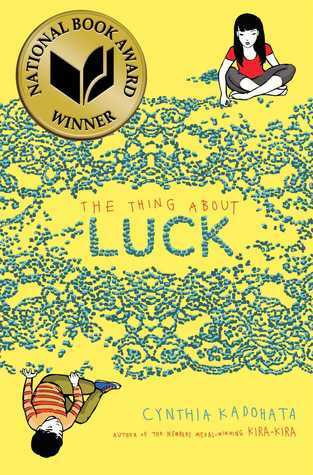 The Thing About Luck – Cynthia Kaddhata. Because I’m interested in the Japanese connection. 8. 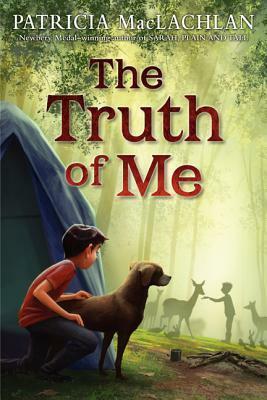 The Truth of Me – Patricia MacLachlan Because I love her. 9. 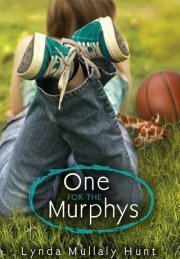 One for the Murphys – Lynda Mullaly Hunt. Because I read an inspiring Nerdy Book Club Post by Gigi Mcallister about this book and have never read it! 10. 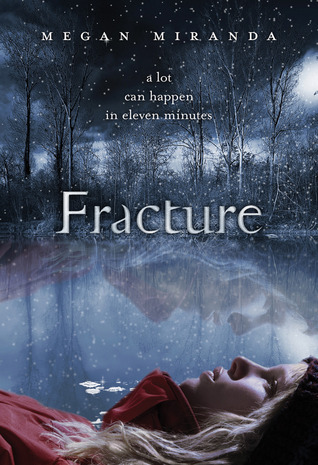 Fracture – Megan Miranda Because I got an ARC of this book a year ago but still haven’t read it! 11. Small Medium at Large – Joanne Levy Because I love Long Island Medium! 12. 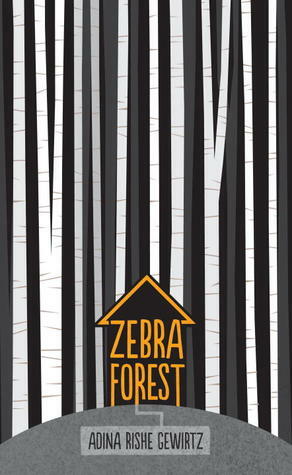 The Zebra Forest – Adina Rishe Gewirtz. Because I need to balance my fantasy reads with some realistic fiction. Intriguing title. 13. 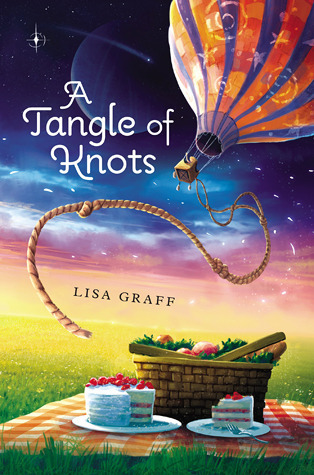 A Tangle of Knots – Lisa Graff. Because I live with 3 boys and need a girly book once in a while! 14. 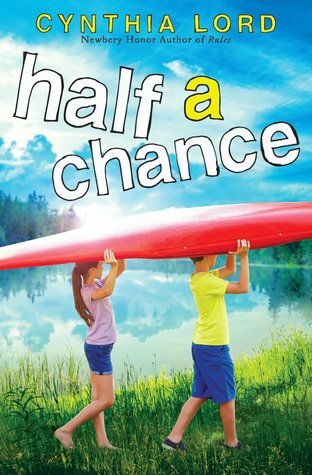 Half a Chance – Cynthia Lord. Because I loved Rules. 15. 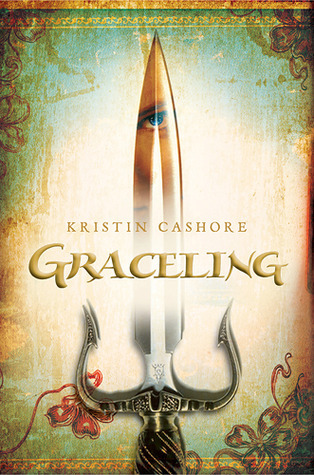 Graceling – Kristi Cashore. Because it sounds amazing! 16. 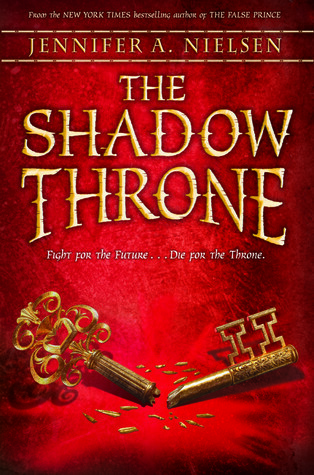 The Shadow Throne – Jennifer Nielsen. Because I HAVE to find out what happens to Sage! 17. Allegient – Veronica Roth. Because I HAVE to find out what happens to Tris and Four! 18. 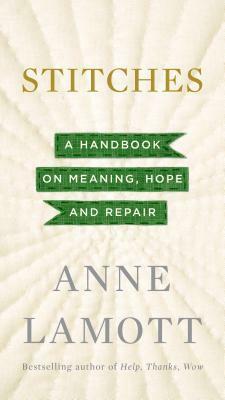 Stiches – Anne Lamott Because Bird by Bird is the most inspiring book about writing I have ever read and I laughed and cried through Operating Instructions after each of my boys were born. 19. Reading in the Wild – Donalyn Miller Because I read another amazing Nerdy Book Club review of this book and it’s been on my TBR list ever since! 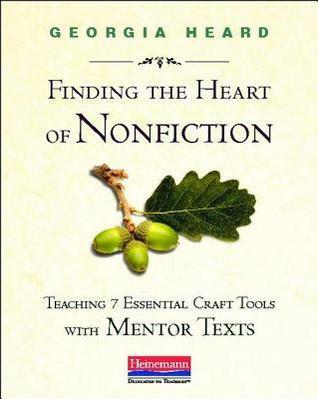 Finding the Heart of Nonfiction – Georgia Heard. Because I adore anything and everything she writes. Well – it’s the beginning of a new year and I thought I’d celebrate with sharing some newly released picture books that I’m very excited about! There are too many to share in one post – so I’ll complete the list next week! Here we go…. Oh, the connections I made to this book! Have you have ever wondered who is responsible for all the things that happen around your house that nobody seems to be able to explain? Like where the remote control went, what happened to homework, why there are so many single socks in the laundry and why songs stick in your head. 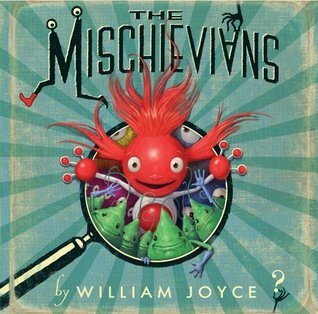 Well, this book has the answer – It is the pesky little “Mischievians” at work again! This book is classic Joyce – funny, clever and fun! I can’t wait for my students to think up some of their own “mischievian” happenings! How can you not smile at this adorable little face? 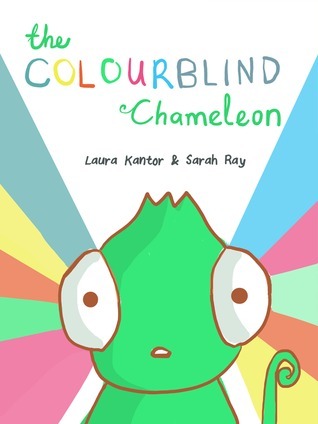 And how can you not laugh when you read that this poor wee chameleon is colorblind so while his fellow chameleon’s are changing color for camouflage, his color changes results in the exact opposite! Because he cannot distinguish colors, he ends up changing into some outrageous shades where he stands out instead of blending in. Poor thing! He is left feeling alone and discriminated against. I loved this book and have developed a huge case of reptile love! The book is bright and colorful with a rhyming text that makes it a perfect read-aloud for younger children. This past summer, I discovered a few books that shared a similar theme of breaking free of being “plugged in” to electronic devises – Doug Unplugged by Dan Yaccarino and Hello, Hello! by Matthew Cordell. Meet Dot – she is a spunky, device savy gal – who knows how to tweet, swipe, tag and tap her way through just about every electronic device she can get her hands one! One day, she is sent outside on a technology-free adventure to re-connct with her friends. What I loved about this book is the realistic message about enjoying BOTH life and technology. I also enjoyed the author’s clever double meanings to the words “tweet”, “tap” and “surf”! 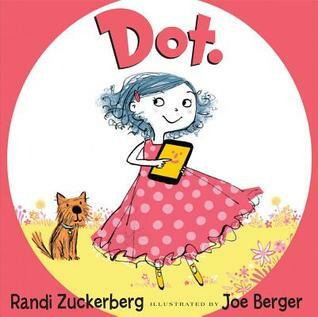 And in case you were wondering, yes, the author Randi Zuckerberg is the sister of Facebook Founder Mark Zuckerberg! My, oh my, this is one for my special shelf. This is a book about seeing the world in a different way. simple, imaginative, beautiful. The oil painting illustrations are remarkable. Paul is a fish who swims around his fish bowl in circles. 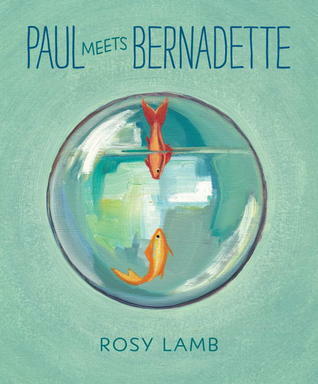 Enter Bernadette – who shows him a different perspective on the world and helps Paul see things in a whole new way. This is a gentle love story that I fell in love with. So much to love about this book! What child cannot relate to being constantly bugged by a sibling? And what child has at some point used a large cardboard box to create a secret fort, space ship or castle. George is constantly being followed by his younger brothers. His solution? 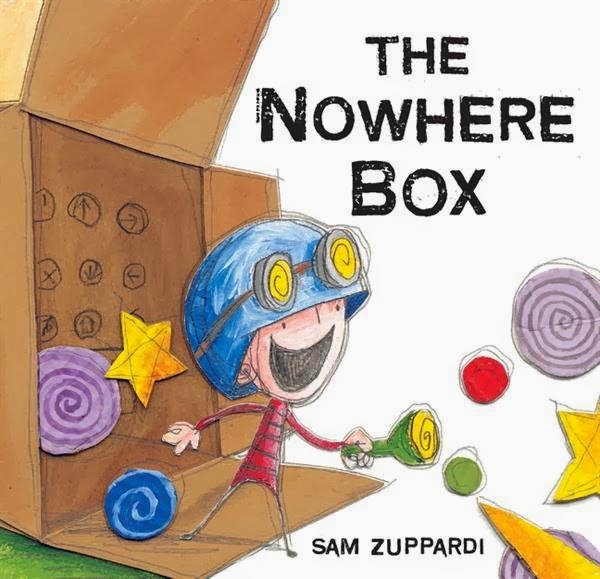 The Nowhere Box! In it, he can be a pirate, a king, a pilot! In the end, playing alone turns out to be not so fun. The illustrations in this book are extraordinary – there is something very textural about them and I kept wanting to run my hands over the pages to “feel” them! From Acorn Fairies to Zillo the Zebra Unicorn – this is a whimsical, wonderful ABC book to add to your Alphabet book collection! A celebration of nature with beautiful illustrations and creative characters for each letter of the alphabet. Lovely! Wow! Wow! So so so so good! A boy and his dog discover some stones while out walking. When one of the stones breaks open to reveal a fossil from a prehistoric plant the boy gathers as many stones as he can find and begins breaking them apart. The result is magical! 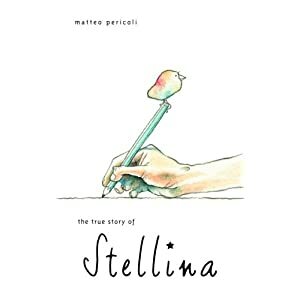 This is a wordless picture book with extraordinarily detailed and life-like illustrations. It almost feels as if you are wearing 3D glasses! I loved Bill Thomson’s last wordless picture book Chalk and found it a wonderful anchor book for practicing questioning and inferring. This book has the added bonus of being a Segway into discussions about fossils, dinosaurs, and other aspects of science. 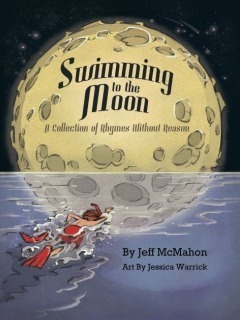 This is a must have for your wordless book collection! My students, family and friends roll their eyes whenever I say “This is my FAVORITE new book” because I tend to say it a lot. But this is TRULY my FAVORITE new book! LOVE LOVE LOVE this book SO SO MUCH! Why do I love it so much? First, the images are captivating, soft, gentle, quiet, sweet. I want to climb inside the book and stay for a while. 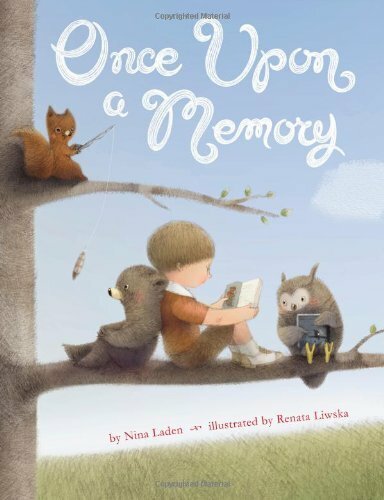 Second – this is a story about memory – but gifts us with so much more – questions about nature, about life, about transitions, about the origins of objects, about life. 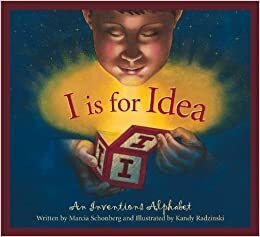 This book is begging to be used in a classroom – a treasure for lessons on inventions or discussing imagination and asking the question: What will you remember? I will certainly remember this book for a long time. There you have it – part one of my “new books for a new year”! Hope you found a few titles you might want to read and share. What have you been reading this week?